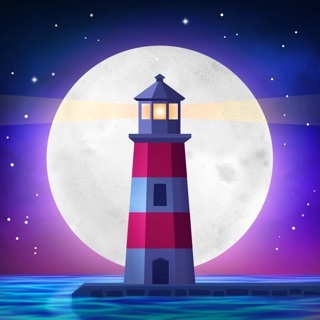 Relaxing rain sounds for focus, relaxation and sleep, Raining.fm is the official app of the popular Raining.fm website. 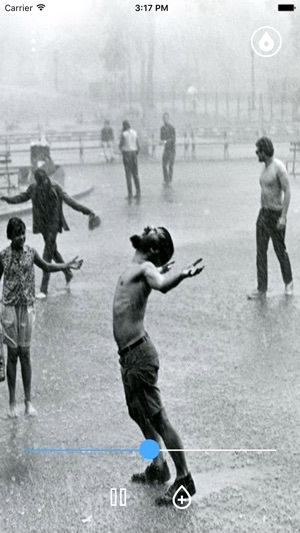 If you love listening to rain and thunder, you're going to love Raining.fm. What are people saying about Raining.fm? 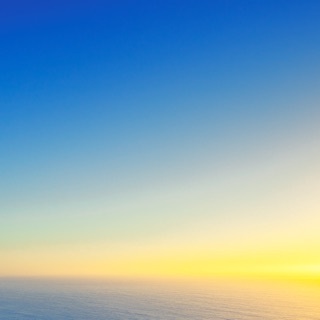 Relax - Take a Break. Sometimes you just need some time for you. 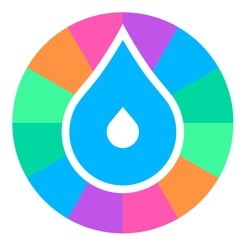 The Raining.fm App can be a great way to relax and unwind after a hectic day. Or set the Break Timer to remind yourself to relax during a busy work day. Focus - Distractions Be Gone. The sounds of rain, rolling thunder or cracking thunder, or maybe your own custom mix of all three, can be a wonderful way to shut off from the outside world and focus on what needs to be done. Sleep - Sleep Timer Built In. Do you like to sleep to the sound of rain? 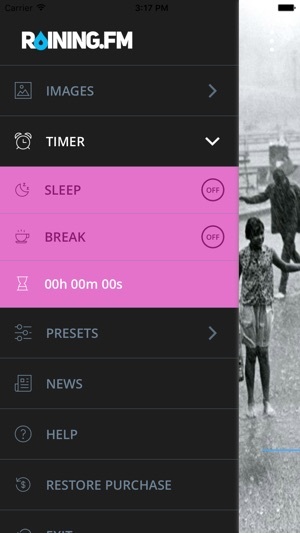 The Raining.fm App includes a handy Sleep Timer. Start the countdown timer, lay down and fall into a relaxed deep sleep listening to the beautiful sounds of rain and/or thunder. Sounds: Infinite seamless sounds of Rain, Rolling Thunder and Heavy Thunder. Images: Original Slideshow plus Slideshow from our 2012 Rain Photo Contest on Facebook (as seen on Raining.fm). 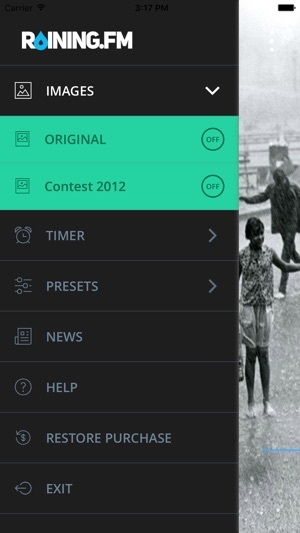 - Break Timer - set the timer and be alerted when it's time to take a break, great for working or studying. - Sleep Timer - set the timer and the rain and thunder sounds will fadeout gradually while you fall into a nice relaxed deep sleep. 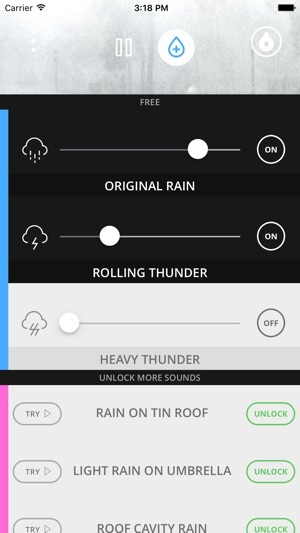 Volume: Make your own custom mix rain and thunderstorm with unique volume controls for all sounds, plus a master volume. 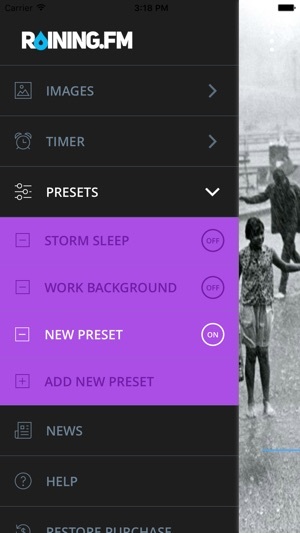 Save all your favorite rain and thunder mixes using presets. It's been a while since our first design, so we have updated it to be modern and functional, while still retaining that awesome Raining.fm feel. We hope you like it. Purchase more rain and thunder sounds in packs of 3 or individually and try before you buy. Add new sounds to your mixes and presets. We will be adding new rain and thunder sounds throughout the year. 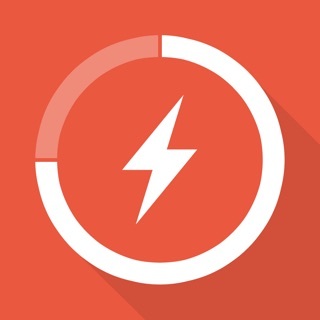 Update your app when prompted to try them.